In a heavy stock pot, over medium heat, warm the olive oil, being careful not to overheat it. Sautée onions, shallots with 1/2 tablespoon of salt until translucent, stirring frequently. Add the red pepper and garlic, and saute for 3 minutes. Add the fennel and cabbage, stirring frequently. You can add more olive oil or water if you’re on a diet. if you’re on Whole 30 add olive oil which is compliant. You want the veggies to sweat and caramelized a little to bring out the flavor. Add the fresh herbs and saute another minute. Add the tomatoes, stock or water, frozen spinach, bay leaves, remaining salt and 1 teaspoon freshly ground black pepper. Cook in a pressure cooker for 30 minutes or on the stove on low heat for 2 hours. Adjust seasoning by adding more salt and pepper as you like. Serve garnished with scallions and jalapeño, if desired. 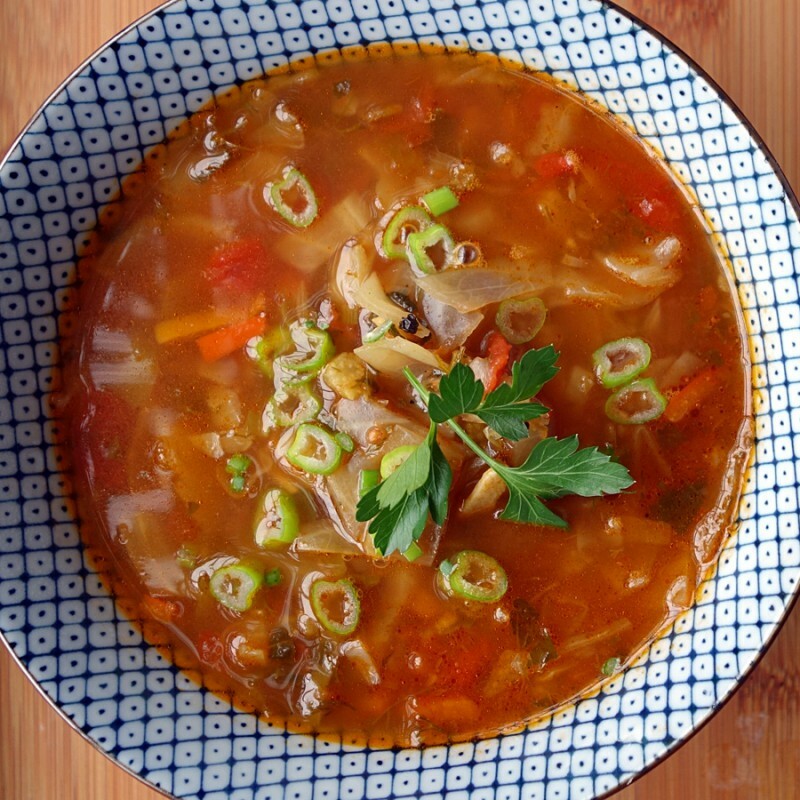 I wasn’t following the Cabbage Diet when I made this soup. I am doing the intermittent fasting and figured this soup would be very low in calories to have on the days when I’m only eating 500 calories. If you’re following whole 30, you can add potatoes or sweet potatoes or butternut to thicken the soup a bit.